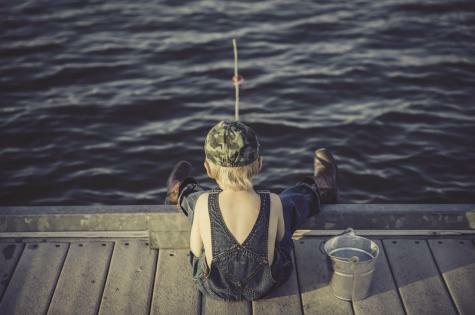 If you’re starting to worry that all your kids do is stare at screens, then how about finding some other activities to capture their interests. Of course, this is easier said than done, which is why you should consider the suggestions below. These are some simple activities that make a nice break from the latest technology. Board games are a great way to get the family together for some competitive action. Classics such as Monopoly, Scrabble, and Risk are great options. Remember, emotions are likely to run high as board games tend to bring out the best and worst in people. Understanding competition, and losing, is an important process but can be fun at the same time. If all goes well, how about turning the board game night into a weekly occurrence. The Japanese paper folding art is another way to get kids away from the electronics. They are likely to love the challenge provided by origami as a range of creative and problem-solving skills will be required. The best part about making origami is the sense of accomplishment provided by successfully finishing a project. Just remember, origami isn’t easy. Your kids will likely make many mistakes and will need some adult guidance. That’s why it recommended that you become familiar with how to do a craft before teaching the young ones. It can be a little tricky to decide which origami projects to undertake, as there are just so many. For some ideas check out origamiway.com. Just remember, it’s important for you and your kids to start with simple crafts and work your way up. Gardening is a great way for kids to follow their curiosity, learn outdoors and discover more about nature. Start off by teaching the basics of how plants grow (sunlight and water) and then equipping them with some seeds and getting them to work. Don’t think that you necessarily have to grow all the plants from scratch. Perhaps take your children shopping and purchase some flowers that are already grown somewhat. You can then help them place these flowers in their little plots of land. Doing so will give your children something to look after and hold their interest until the first seeds start to sprout. If your kids love to get messy in the kitchen then how about teaching them the basics of baking. Doing so is a great way to initiate them into the world of adult skills. Cupcakes, scones, and muffins are always a hit. Start off by showing your kids the different ingredients required, then teach them how to make measurements and follow a recipe. Don’t forget to allow them to decorate their creations. There is nothing wrong with your kids becoming skilled with the latest technology, but sometimes they need a break from screen time. While this can be a hard task to accomplish, the suggestions given today should hopefully steer you in the right direction. The point of interest of this new approach largely rests with the commercial aspect and a possibility for large commercial enterprise. The New Unmanned Aircraft System Integration Pilot Program For Drones, there is additionally the possibility to assist the ones in industrial sectors. Drones are important tools in many industries, from mining and infrastructure to power boards and surveying.